With Reykjavik just a little over five hours from Rome by plane, a trip to Iceland from Italy is becoming a popular addition to a European vacation. But what should you pack? One of the first brands we recommend is Habitat Clothes. Habitat creates sophisticated, comfortable pieces that transition flawlessly from day to night and between climates. So before you take off for your trip, stop by Paloma Clothing in Portland to discover all your travel essentials. If this will be your first trip to Italy, Iceland or both, it helps to know a little about the climate in these areas before packing. Temperatures in Italy can range widely with colder winters and humid summers in the north and more temperate year-round weather in central and southern areas. Overall, you’re likely to experience mild conditions. Iceland, however, will be quite a bit colder. Even though ocean currents keep the island nation surprisingly warm for its location, winter temperatures range from the low teens to mid-thirties in most areas. And while summers are warmer, the mercury will still only rise to about the mid-fifties on most days. With only so much room in your bag, packing can be a challenge. Fortunately, versatile, easily layered Habitat clothes provide the perfect options for every leg of the trip. When you’re in Italy, it’s likely you’ll spend a great deal of time exploring its beautiful cities and outdoor attractions, from the ancient Colosseum in Rome to the famous Leaning Tower of Pisa. 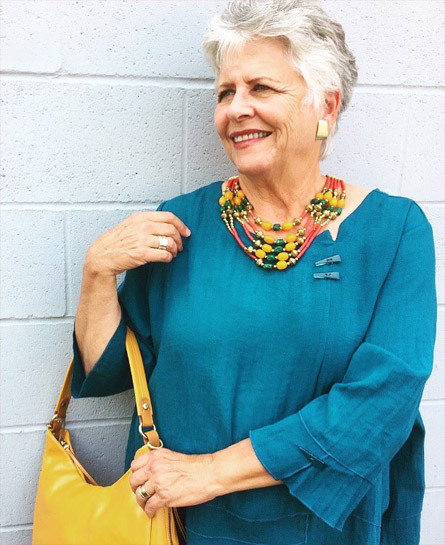 Plan on wearing light cotton or linen tops with loose or stretchy pants from Habitat. You’ll be comfortable enough to enjoy the sights without ever compromising on style. When it’s time to dress things up for a romantic gondola ride in Venice or sipping wine along the coast of Amalfi, Habitat clothing offers plenty of elegant options. Pair timeless tapered pants and a top with a sophisticated print. High-quality knits in particular are great for travel because you won’t have to worry about wrinkles spoiling your outfit. These same pieces will serve your needs in Reykjavik and beyond. In Iceland the weather changes frequently, so layering will be essential to staying comfortable. Rely on versatile transition items, like basic black tanks and dresses, which can be paired with light jackets or a wrap as you stroll through the shops of Laugavegur or browse the stalls of Kolaportið, the city’s eclectic flea market. For chilly days and nights, add a sweater to your ensemble as you explore Reykjavik’s museums, galleries and restaurants or take in a show at the Harpa Concert Hall. As your trip approaches, browse Habitat Clothes at Paloma Clothing to make sure you have everything you need for sightseeing, dining and relaxing in style. Contact us or visit the boutique at 6316 SW Capitol Hwy today to shop before you embark on your next adventure.